If this doesn’t alarm you… it should. It means - statistically speaking - that the odds of your marriage being successful and happy in the long run are not in your favor. And I’m guessing you wouldn’t be on this page if you were 100% happy with your marriage. Your spouse is the person you’ll spend the rest of your life with. Even your kids will move out around 18. But your spouse… you’re together forever. And even if you get divorced, the reality is that you’re likely to bring your current problems to the next relationship (just in different ways). You read the statistic above. If less than 20% of marriages are ‘happy’ then the odds are against you. That means that everyone is facing the same challenges. I sure know that our marriage was a mess! So I’m definitely not pointing fingers here. But most of us have never been taught communication skills. Especially when it comes to our marriage. And it’s time to do something about it if you want to save your marriage. Because “communication” is the solution you’re looking for. Remember how you felt when you first met your partner? How close you were? Like you were soul mates? Now imagine having that same level of connection and intimacy for the life of your marriage. While still being completely in love with each other. We’ve been married 22 years and not all of them were happy. In fact, if we hadn’t learned to communicate we’d probably be divorced right now. Because for a time, healthy communication of any form was virtually nonexistent. We’re now a highly successful marriage coaching team. We’re best selling authors on marriage and intimacy. We’re the hosts of the world’s #1 Marriage Podcast. And our marriage is obviously better than ever. All because we learned to communicate with each other. * "We are communicating better then ever before because now we are not just “going through the motions” when we talk. 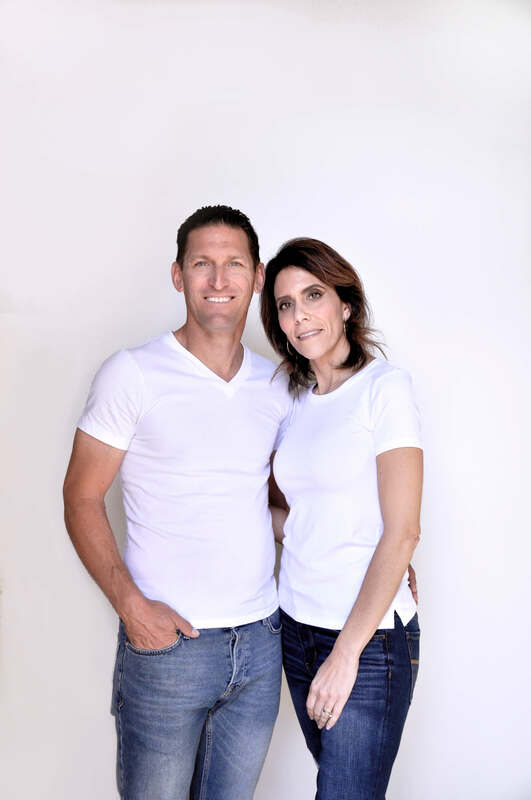 By talking clearly to one another we are having huge breakthroughs in our marriage." * "He Zigs, She Zags is amazing! There is no fluff, no unrealistic expectations, just down to earth, practical advice on having an incredible, Christ centered marriage." * "I got married 7 months ago and as a newlywed I can honestly say there is no play book or instruction manual to prepare you for this thing called marriage. He Zigs, She Zags has been our play book when it comes to our communication. I just wanted to message you guys and say THANK YOU. You are making a difference in our marriage!" How much is your marriage worth to you? You may have even invested in counselling, books, courses or other activities to try and bring the magic back. If your communication and marriage don’t dramatically improve. Or even if you don’t like the course material for any reason. You may have read books on communication or gone to courses. So the answer is simple… did they work? Are you truly satisfied with your marriage now? We guarantee that you get results or pay nothing. What works best is when you commit to the course first. Your spouse never has to watch a single video for this to work. With something like this it’s easy to put it off until “later”. But we both know that later never comes. Your marriage needs help now or you wouldn’t be here. So now’s the time to improve your marriage forever. Simply click the Add to Cart button below and you’ll get instant access to He Zigs, She Zags. And we guarantee you’ll notice the difference in your marriage. P.S. This is your chance to dramatically improve the future of your marriage with He Zigs, She Zags for just $47. * "He Zigs, She Zags has given us a crazy quick way to connect and get right to fun, deep and meaningful conversations. Each session has helped my wife and I gain insights on the best way to dive deep into our emotional intimacy. With 3 kids and not much time it has been awesome to be productive with the little time alone that we have." * "I want to thank you so much from the bottom of my heart for He Zigs, She Zags. Since going through the program it has been a true blessing for me and my husband. We have learned so much through the COUPLE Communication Method as we begin to have an extraordinary marriage. Thank You! May God bless you for giving this blessing to us and others." We’ve been married for 22 years and they weren't all happy.